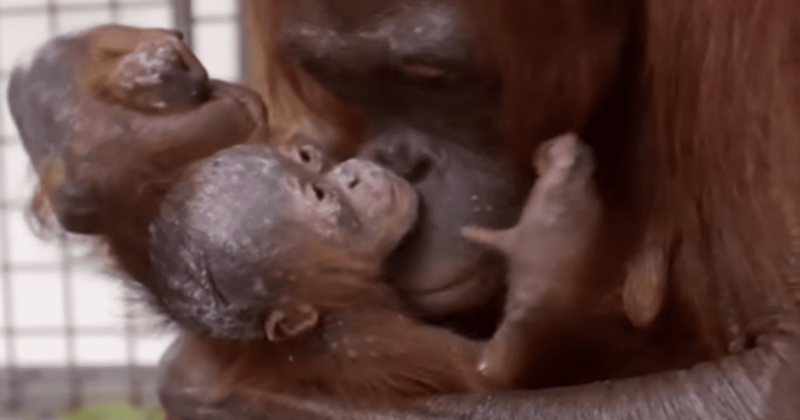 Orangutan Clara is the proud mom to an adorable baby named Clarita. 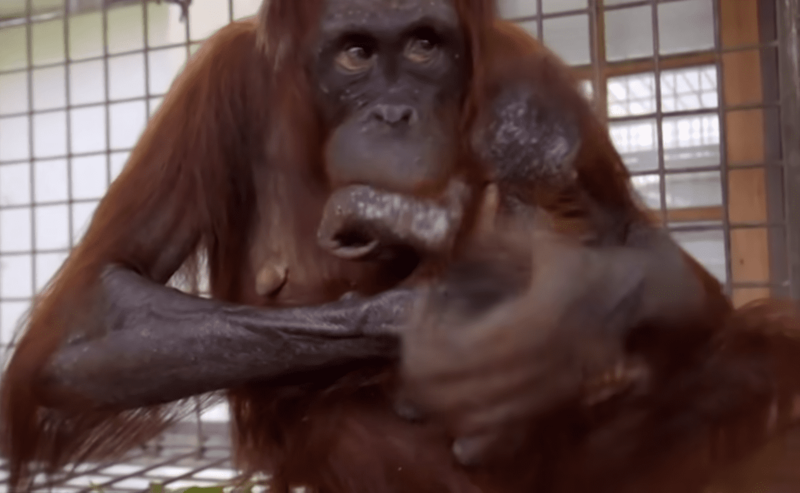 The two live in the Borneo Orangutan Survival Foundation sanctuary in the UK, where they’re able to live freely without fear of poachers. One day, the techs who worked at the sanctuary saw that Clarita had disappeared. 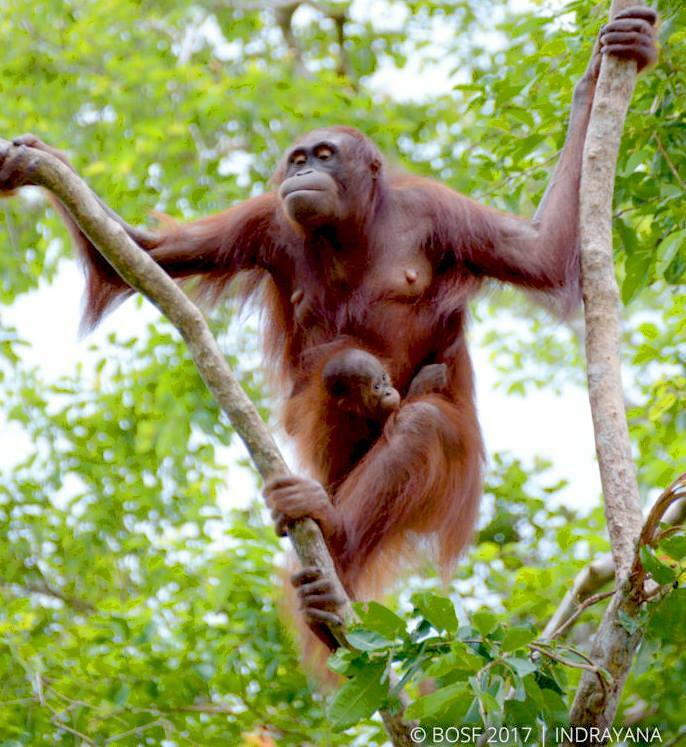 They searched the sanctuary for her, and to their shock, they found that another orangutan had kidnapped her. 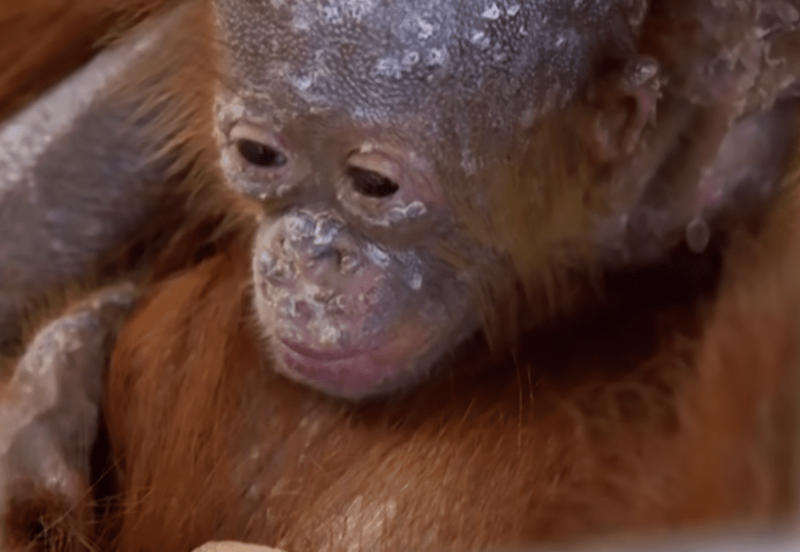 Clara and Clarita ended up having to spend a week apart—Clarita needed to spend more time in the clinic, and Clara was suffering from a painful rash. Finally, both mother and daughter were well enough to be reunited. The staff at BOS were very nervous about the reunion. After a week apart, there was a chance that Clara wouldn’t recognize Clarita. If that happened, she would most likely reject her baby. “When the mothers reject the babies, sometimes they just let them starve. They don’t want to give them milk,” BOS veterinarian Vivi said in a YouTube video. A staff member brought Clarita over to Clara, who was in a temporary cage. The staff member gently talked to Clara, telling her that she had her baby. At first, Clara didn’t move. But then, after a few moments, she gently reached out and touched her baby. It seemed like she couldn’t believe that Clarita was really there. Once the staff members felt it was safe, they opened Clara’s cage and handed Clarita over to her. Clara gently held the baby, who cried softly. Clara hugged her baby, and she quieted down. All of the staff members at BOS gathered to watch the reunion. There wasn’t a dry eye in the house! While everything seemed to be going well, the vets still worried that Clara wouldn’t feed her baby. But it turned out they had nothing to worry about. Just a few minutes after their reunion, Clara gave Clarita milk, and the baby happily drank it. 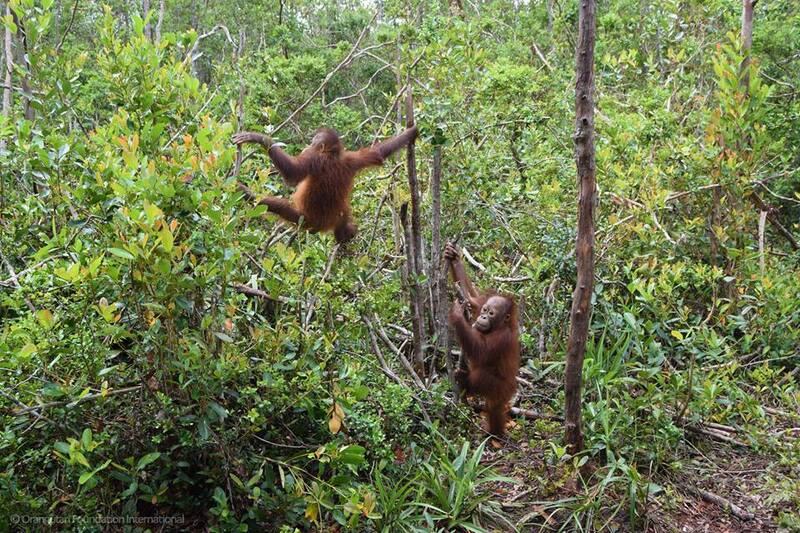 After Clara and Clarita recovered from their illnesses, the staff members released them back into the sanctuary. The mother and daughter were so happy to be together again! Clara and Clarita are a sweet pair who love each other more than anything. If you want to see the touching moment when the mother and daughter were reunited, check out the video below.